The Revel, which has been hosting UFCs for a while now, will soon be closing its doors, the victim of lack of revenue, the ever-changing tides of legalized gambling and Atlantic City, N.J.'s role as a regional hub for people who like to throw their money away. But what, if anything, does this mean for the strange yet enduring marriage between MMA shows and the casinos there? After all, AC has been hosting such events for about 14 years, and has long been the home for such organizations as Ring of Combat and the Cage Fury Fighting Championship. According to the Press of Atlantic City, "Atlantic City is betting on sports such as mixed martial arts to help save the city." Revel’s demise throws the local MMA scene into a state of flux. The casino’s Ovation Hall was the site of two UFC cards in the past three years. Bellator also held two shows there and was hoping to have another one in early 2015. Another national MMA organization, World Series of Fighting, held two fight cards at the resort. “We are monitoring the situation, and we will explore holding events at other venues in the city,” said UFC spokesman Dave Sholler, an Egg Harbor Township native. Other MMA companies are expected to continue the relationships they have established at other Atlantic City properties. Ring of Combat has been holding shows at Tropicana Casino and Resort for eight years. Ring of Combat 49 will be there Sept. 19. Vineland-based Cage Fury Fighting Championships will hold its eighth card at Borgata Hotel Casino & Spa on Nov. 22. “MMA will have a vital role in the future of sports in Atlantic City,” [CFFC president Rob] Haydak said. I'm not worried that AC will wither and die. I've been trekking to fights there since 2001, and have witnessed firsthand the evolution of a rundown city into a rundown city with a lot of nice shopping areas. 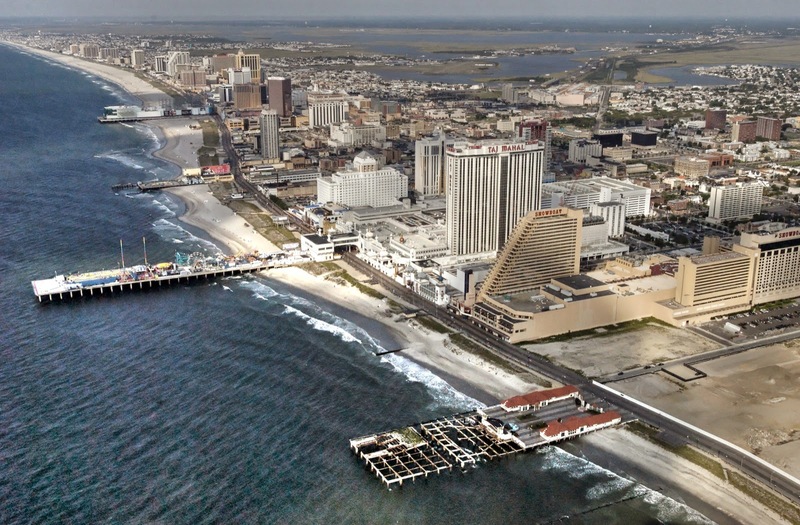 Atlantic City will always be there, and there will always be casinos eager to waive the site for promoters who can bring in potential gamblers.